Small 2-inch left side flipper bat/shaft assembly. Includes white plastic flipper bat/cap with raised blue FLIPPER horizontal lettering, metal shoe/shaft, and mounting screw (3-piece assembly). Flipper has a molded groove which holds a 1-inch round rubber ring. Used on many older electro-mechanical (EM) games from 1940s through 1960s. 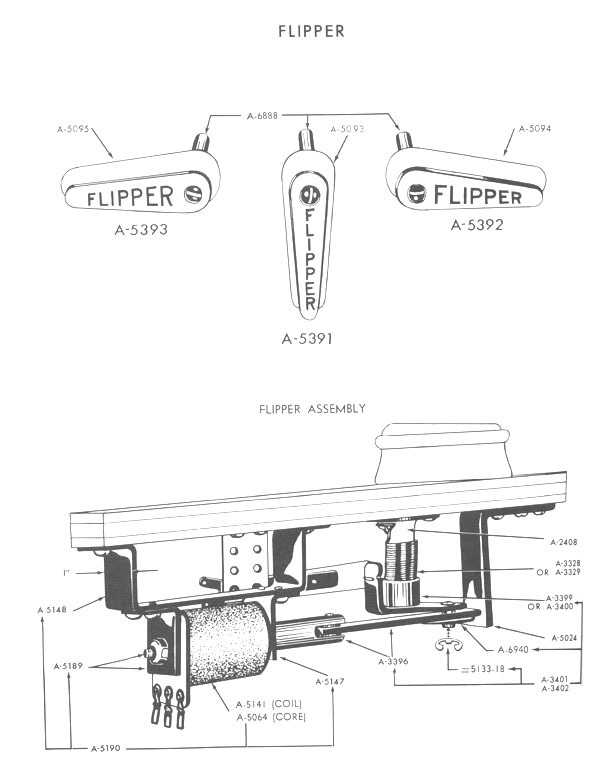 Will fit/work on most makes/manufacturers of games that used this style of flipper. Replaces Gottlieb # A-5392.